Grass plants slow down their rates of reproduction after a few years. Over time, lawns that have not been over seeded will grow thin and unhealthy, making it much easier for weeds to overtake the lawn. Overseeding is good practice to maintain your lawn and is also an important part of restoring your lawn when it has been under stress or after more invasive treatments like scarification. 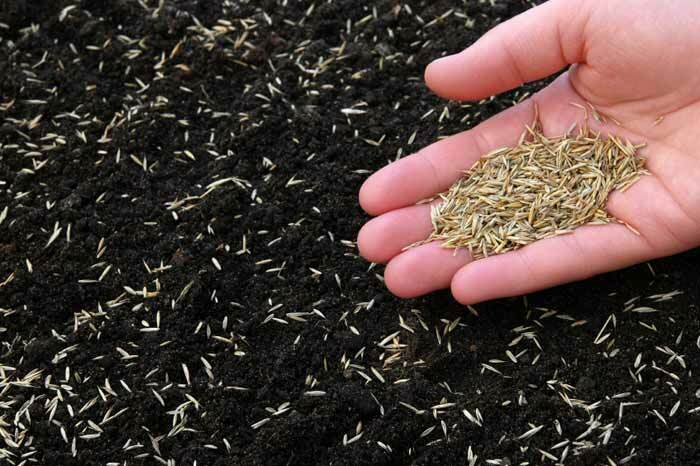 When overseeding the seed requires 3 conditions; good soil contact, warmth and moisture. The spring and autumn are ideal germination times for overseeding. Hot dry weather is bad as is cold wet weather. Wet and warm are the best conditions for seed germination and grass growth. It will generally take 4 – 8 weeks for the grass to become fully established in the correct growing seasons. Lawns must be watered daily for at least the first few weeks to ensure that the soil remains moist.